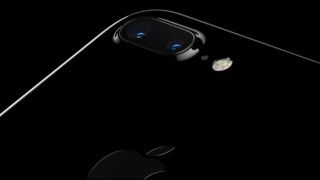 Great news - Apple is finally giving photographers the chance to edit raw files taken with the iPhone 7 and iPhone 7 Plus' camera. Why should you care? Well, compared to JPEG files of the same image, it can be like comparing chalk and cheese. A JPEG file has had a host of adjustments applied to automatically, from brightness to white balance, with unwanted data chucked away in an effort to keep the file size down. In a way, it's little like comparing it to a 6x4 print - fine for snaps and easy to share, but you'd always want to keep the negative for those special shots. And that's where raw files come in. Think of them as a digital negative - files that are completely untouched by the camera's image processor, so no adjustments have been made. This means that these shots at first can look quite flat and dull compared to a JPEG file, but the magic lies in the processing, as it provides photographers with files containing so much more data, allowing the image to be edited harder than is possible with a JPEG file. The allows you to recover otherwise lost highlight and shadow detail, instantly change unwanted color casts in an image, boost contrast and much more, ending up with a processed image that's much better than any JPEG file, processed or not. It's great to see this raw capability final come to the iPhone, making it a much more serious proposition for those who want to get the best possible images.